NEW YORK, New York (The Adobo Chronicles, Washington Bureau) – The Philippines and the United States — both are having their presidential elections this year in May and November, respectively. While polls and social media speculation have greatly contributed to forecasting who will be elected president and vice president of either country, psychics are weighing in as well on the contests. Sylvia Browne of the U.S. and Madam Auring of the Philippines are popular psychics in their respective countries. Lo and behold, both have similar scenarios in predicting which among the candidates will emerge victorious. Browne and Auring have agreed on two possible scenarios, but neither would confirm which scenario would eventually materialize. Scenario 1: The Philippines and the U.S. will elect women for both their president and vice president. For the U.S., that would be Hillary Clinton and Elizabeth Warren; for the Philippines, it would be Grace Poe and Leni Robredo. Scenario 2: The Philippines will elect an autocrat for president, as will the U.S. — Donald Trump and Rodrigo Duterte. As for the vice presidents, it will be sons of former presidents — Jeb Bush and Bongbong Marcos. Unlike in the U.S., Philippine election laws allow voters to choose a president who is a candidate of one party and a vice president who is from another party, and this is reflected in both psychics’ predictions. LIPA CITY, Philippines (The Adobo Chronicles, Manila Bureau) -President Aquino challenged all presidential candidates yesterday to voluntarily undergo medical and psychological examinations to prove that they are fit to lead the nation for the next six years. He issued this challenge at the inauguration of the Lipa-Alaminos road in Batangas. Aquino said that voters have the right to ask and know about the health conditions of the candidates as the job of a president entails a lot of stress and can be exhausting. As a tip, he urged voters to elect someone who can survive the rigors of a six-year term and effect meaningful changes within that span of time. At the same time, he told the candidates that they should not be afraid of undergoing tests. Having medical or psychological conditions do not necessarily make anyone unfit to become president. Take it from the pro! MANILA, Philippines (The Adobo Chronicles, Manila Bureau) – Will the real Rodrigo Duterte please step forward? Just like that famous commercial for a soap detergent, there is a new and improved presidential candidate and Davao City Mayor Rodrigo Duterte — prim and proper, no profanities and an image of a rebel standing up against the elite and the biased media. In a speech at his alma mater, the Lyceum of the Philippines, where he did not utter a single profanity, Duterte said he is actually taking “the posture of a radical” when speaking in a brutally frank manner. This is to challenge the ruling class and the public officials who seem to only care for the elite. “I am testing the elite in this country because, historically, we are fundamentally a feudal country,” he said. “I am testing the waters of radicalism. (I act) as if I am irreverent, (but) it’s not really true. I pray to God always. Duterte also took a swipe at Manila-based media, saying he does not have such a bad mouth in reality. He said he just uses foul language because he is fed up with journalists who twist his statements. “In this country, (the ruling class) wants everything to be prim and proper. They control the media, they control television and all, and they want to do governance in accordance with their interest. That’s how it is,” he said. So, as an estimated 54 Million Filipinos troop to the voting booth on May 9th, they will be choosing between two Duterte’s: the foul-mouthed mayor and the God-fearing, prim and proper candidate for president. Many will probably vote for both. 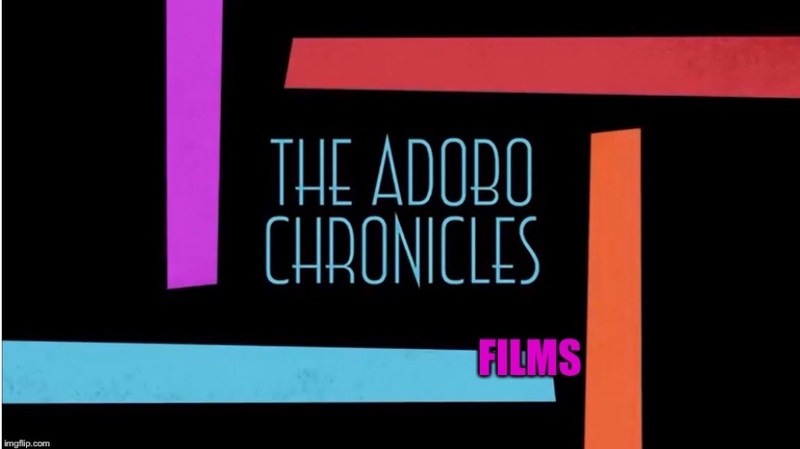 Stay tuned for The Adobo Chronicles’ extensive coverage of the 2016 Philippine presidential elections, brought to you by the new and improved Tide detergent.